Portland, OR — The Portland Winterhawks have acquired center Craig Cunningham and a sixth round pick in the 2011 Western Hockey League Bantam Draft from the Vancouver Giants in exchange for forwards Spencer Bennett, Teal Burns, a first round pick in the 2011 Bantam Draft and a second round pick in the 2012 Bantam Draft. 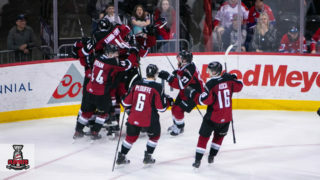 Cunningham, a 20-year-old center, was the Western Conference finalist for the WHL’s Player of the Year Award last season when he amassed 37 goals and 60 assists for 97 points, sixth in the league. He then added 12 goals and 12 assists for 24 points in 16 playoff games. This season Cunningham has 10 goals and 35 assists for 45 points in 36 games, tying him for sixth in the league. 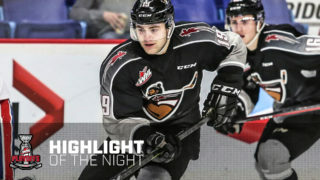 “Craig is an elite player, as evidenced by being named the Western Conference finalist for the WHL’s Player of the Year Award last season. We’re very excited to have him join our team,” said Portland Winterhawks General Manager & Head Coach Mike Johnston. For his career, Cunningham has registered 86 goals and 136 assists for 222 points in 295 games. Cunningham was a fourth round pick, 97th overall, by the Boston Bruins in the 2010 National Hockey League Entry Draft. Going to Vancouver are Spencer Bennett, 20, and Teal Burns, 18. Bennett was in his second season with the Winterhawks, and in 108 games had totaled 31 goals and 30 assists for 61 points. This season he has 21 points in 37 games. Bennett was a fifth round pick, 141st overall, by the Calgary Flames in the 2009 NHL Entry Draft. Burns was in his first WHL season, and had seven points in 37 games. He was Portland’s eighth round pick, 156th overall, in the 2007 WHL Bantam Draft. Vancouver, B.C. 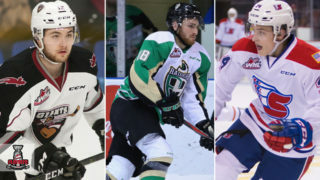 – The Vancouver Giants have acquired (LW) Spencer Bennett, (C) Teal Burns, a 1st round pick in the 2011 WHL bantam draft, and a 2nd round pick in the 2012 WHL bantam draft from the Portland Winterhawks in exchange for Craig Cunningham and a 6th round pick in the 2011 WHL bantam draft. Bennett, a 20 year old from White Rock, B.C., is in his 2nd year with the Winterhawks and currently has 12 goals, 9 assists, and 21 points this season in 37 games with Portland. Prior to joining the Winterhawks the 6’4 left winger spent two seasons in the BCHL and was selected in the 2009 NHL entry draft, 141st overall, by the Calgary Flames. Burns, an 18 year old, is also a native of B.C., hailing from Victoria. A natural centre, this is his first year in the WHL after being taken by Portland in the 8th round of the 2007 WHL bantam draft. In 32 games this season he has 1 goal, 6 assists, and 7 points. 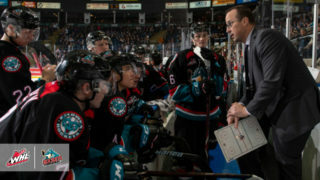 Last year Burns played with Victoria and Nanaimo of the BCHL. Craig Cunningham leaves the Vancouver Giants as the franchise leader in career regular season games played with 295. 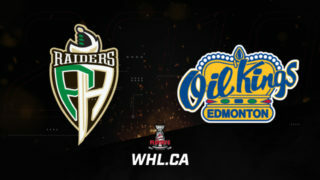 Formally a 7th round pick of the club in the 2005 WHL bantam draft, Cunningham won 4 division titles and a Memorial Cup as a member of the organization. He was also the 9th captain in franchise history. With Cunningham’s departure, head coach Don Hay has named James Henry team captain. He becomes the 10th captain in franchise history. 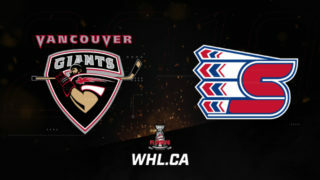 Bennett and Burns are expected to join the club Wednesday and suit up for their first game Thursday night when the Giants host the Moose Jaw Warriors at the Pacific Coliseum.